With 2500 km of coastline and dozens of the world’s most beautiful tropical islands, Mozambique offers a stunning variety of white sand beaches and azure seas. Combine that with superb seafood, year-round warmth and sunshine, and accommodation for all tastes and you’ll understand why visitors keep coming back. From world-class island lodges in the Bazaruto and Quirimba Archipelago’s to remote and unique beach resorts. 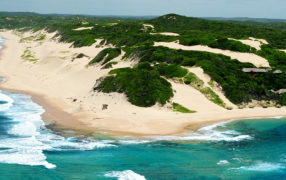 The beaches of Vilanculous and Inhambane offer a wide range of good value Mozambique accommodation options. We can assist you with anything you need, anywhere in Mozambique. And combine beach holidays with safaris in neighboring countries. No one beats our deals on holiday packages to Mozambique. Find all the top Mozambique holiday destinations on our map here. Renowned as the “Pearl of the Indian Ocean” Bazaruto accommodation is exclusive and luxurious. Fringed by golden beaches and an impossibly blue sea guests can enjoy peace, solitude and incredible sunrises and sunsets. The Quirimbas Archipelago is a beautiful string of 32 islands lying far north of Maputo. Stretching more than 100 kilometres along the coastline, the Quirimbas Islands offer unique, unspoilt accommodation choices for visitors all year round. An unspoilt coastline stretching 2500 kilometers along the stunning Indian Ocean that offers world class beach resorts and lodges. This is Mozambique. From the deep south of the Santa Maria Peninsula and Ponta, to legendary towns further north like Vilanculous, Tofo and Pemba. We cover them all. Combine your big five safari in Kruger or Selous National Parks with a world class island or beach holiday. Great value packages that include flights and transfers. 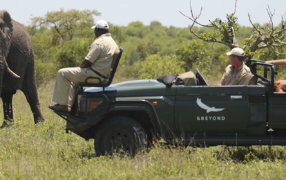 The very best of bush and beach safaris! So if you cant find the accommodation or destination in Mozambique you are looking for then get in touch with us. We list the most popular accommodation and destinations, but can literally book you anything that is available in the country.